I love D&D and its tropes, if for no other reason than that they give players a frame of reference that you can shatter by taking the "mundane" and making alterations to it. 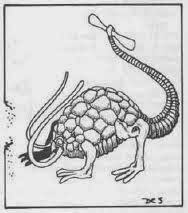 Take the giants, for example - six varieties that can be modified in wonderful ways to stump those veteran "know-it-alls" that tromp through your campaigns with a copy of the Monster Manual in their brains. 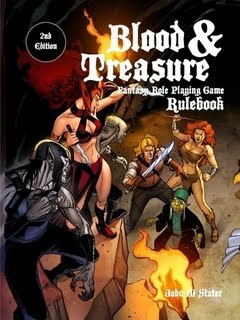 Some of the modifications refer to Blood & Treasure, which is awesome and you should own (and the complete game, e-book, is now on sale at rpgnow.com / drivethrurpg.com - eventually I'll have all my material up for sale there as pdf's and hard copies). 1. Armored: Giant has a turtle shell, chitin or skin of metal or stone - boost AC accordingly, and add spikes (+2 damage) if you like. 2. Artillerist: Giant carries a cannon or ballista as his personal ranged weapon (just use damage equal to stone throwing damage if you want to keep it simple and just use the weapon for a dash of flavor). 3. Beauteous: The giant is gorgeous, and gains the nymph's blinding beauty and charm abilities. In terms of giantesses, imagine hill giantesses like junoesque shepherd women, stone giantesses like living, regal sculptures, frost giantesses with cool, calculating beauty, fire giantesses like giant-sized Sophia Lorens, etc. 4. Bellowing Roar/Piercing Scream: The giant has quite a pair of lungs - once per day it can holler/scream/shriek/roar per the dragonne special ability. 5. 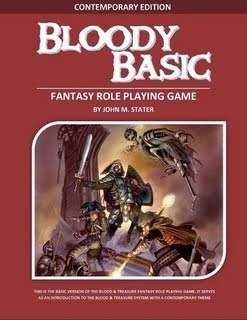 Bestial: The giant has bestial characteristics (use the hybrid template in B&T). Combine hill giants with giant boars, stone giants with cave bears, frost giants with worgs, fire giants with giant lizards, cloud giants with giant eagles and storm giants with giant rams - or use whatever animals you think are most appropriate (elephants and tigers offer great possibilities). 6. Bigger & Dumber: Why do things get dumber when they get bigger? I'd probably know if I was smaller. For this one, just use the "giant" template in B&T and knock the intelligence down a notch. If the giant should have spell-like abilities, nix them. Huge giants get a trample attack (damage equal to strike damage) and giants that go from huge to huger gain a stomp attack (per the stomp spell). 7. Builder: Giant has the abilities of an NPC engineer, as well as the tools and a giant ox or draft horse to help him work. 8. Breath Weapon: The giant can exhale an appropriate breath weapon in a 20-ft. cone. Frost giants exhale cold (3d6 cold damage), fire giants fire (3d6 fire damage), storm giants and cloud giants spit lightning (4d6 electricity damage) and the rest just blow a gust of wind (per the spell). 9. Centaur: Giant has an animal body (see bestial above), gaining any appropriate attacks (claws, for example) and the trample ability. 10. Chariot: Giant drives a giant chariot drawn by appropriate animals (see bestial above for ideas). 11. Class: Giant has the abilities of a PC class with a level equal to half its hit dice. Hill giants make good barbarians, stone giants rangers (yes, because of Wormy), frost giants bards, fire giants fighters, cloud giants magic-users and storm giants druids - but any will do. 13. Drunk: Giant is drunk 90% of the time. He loses 2 points of AC and suffers a -2 penalty to hit in combat, but ignores half of all physical damage inflicted on him. When he misses in melee combat, he must pass a Reflex save or fall prone - anyone who might be flattened must pass their own Reflex save or suffer 2d6 points of damage. 14. Elemental: The giant is kin to the earth elementals; use the elemental template in B&T. 16. Godson/Goddaughter: Giant has the half-fiend or half-celestial template from B&T - mommy or daddy is divine! 17. Hideously Ugly: Giant is so ugly, those who see it must pass a Will save or be frightened. 18. Knightly: Like the giant Russian knights of old, the giant is not only in platemail and carries a giant sword and lance, but also rides upon a warhorse sized for him or her. Giant knights might have the abilities of a chevalier (see NOD Companion) of a level equal to half their hit dice, if the referee so desires. Giant will definitely be more civilized than most of its kin. 19. Magic Resistance: Giant enjoys magic resistance equal to half their Hit Dice x 5%. 20. Man-Eater: Giant gains the swallow whole ability against creatures two sizes (or more) smaller. 21. Pet-Lover: Giant is accompanied by a dragon or magical beast (or dinosaur?) appropriate to his environment. 22. Primitive: Giant is more primitive than its kin; it can wear nothing more than leather armor and carries nothing more than a giant club, but it's strength gives it a +2 bonus to damage. Note that hill giants aren't too swift to begin with, so primitive hill giants wear no armor and fight with their fists. 23. Sage: Giant is old and wise, and has the abilities of an NPC sage. 24. Size-Changer: Giant can change size once per day, per the shrink or enlarge spells. 25. Shape-Changer: Giant can polymorph self once per day. 26. Smoker: Giant smokes a large clay pipe, and can exhale the equivalent of a fog cloud once per day. Creatures in the smoke must pass a Fortitude save (vs. poison) or start choking (tactical disadvantage). 27. Sun-Hater: Giant turns to stone in daylight, but regenerates as a troll (though the damage they are vulnerable to might be different than fire and acid). 28. Trickster: Like old Utgard-Loki, the giant has natural illusionist abilities. Allow them to cast spells as an illusionist (specialist magic-user) with a level equal to half their hit dice, and knock their intelligence up a category. 29. 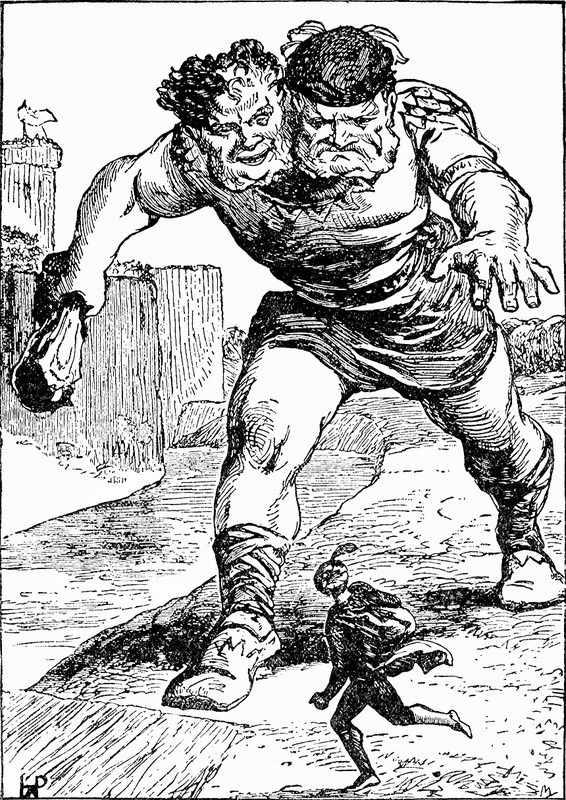 Two-Headed: Per the ettin. 30. Tusks or Horns: Giant has a gore attack (2d6 damage for large, 2d8 for huge). 31. Field Marshall: Giant is an exile who has taken up with lesser humanoids, becoming their de factor leader. 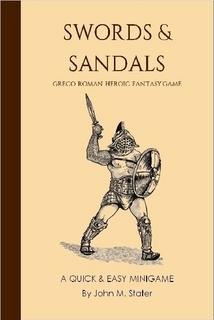 Scale the humanoids to the giant: Hill giant with kobolds, stone giant with goblins, fire giant with orcs, frost giant with hobgoblins, cloud giant with gnolls and storm giant with bugbears. 32. Undead: Combine the giant hierarchy with the sentient undead hierarchy, thus barrow giants (hill giant + wight), shadow giants (stone giant + wraith), smoke giants (fire giant + spectre), ice giants (frost giant + mummy - I'm thinking about the ice mummies here), mist giant (cloud giant + vampire) and tomb giant (storm giant + lich). 33. Friendly: Giants can be friendly, of course, but you don't want to ruin the rep of the traditional giants. So - hybridize them with some of the friendly demi-human species. Combine hill giants with gnomes for forest giants, stone giants with dwarves for rock giants or fire giants with dwarves for iron giants, frost giants with elves for taiga giants, etc. Potions are one-use magic items that need to make contact with the skin in order to deliver their effect, which is usually based on a magic spell. Simple, right? By and large, potions show up in treasure hordes in the form of edible concoctions (referred to as potions) and oil. In either case, they are presumably kept in little bottles that hold maybe a fluid ounce of liquid. I wouldn’t be surprised if more than a few referees even come right out and tell their players that they’ve found a potion. Beer – magical beers work well with rustic folk, like halflings – naturally one can use magical ales, stouts, etc. Perfume – in this case, not all that different from oils – make the barbarian smell like lilacs if he wants the potion of healing! Wafers – and cookies, biscuits, breads, etc. 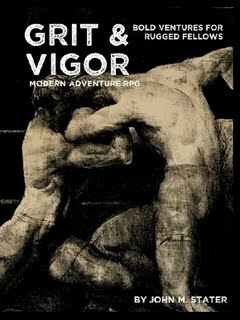 A little preview of GRIT & VIGOR here for you. 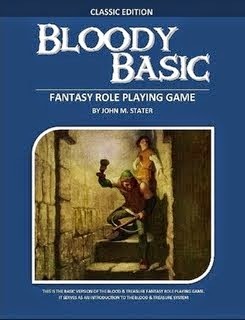 When you base a game on manly exploits of the olden days, you have to put some thought into rank drunkenness and other intoxicating past times. 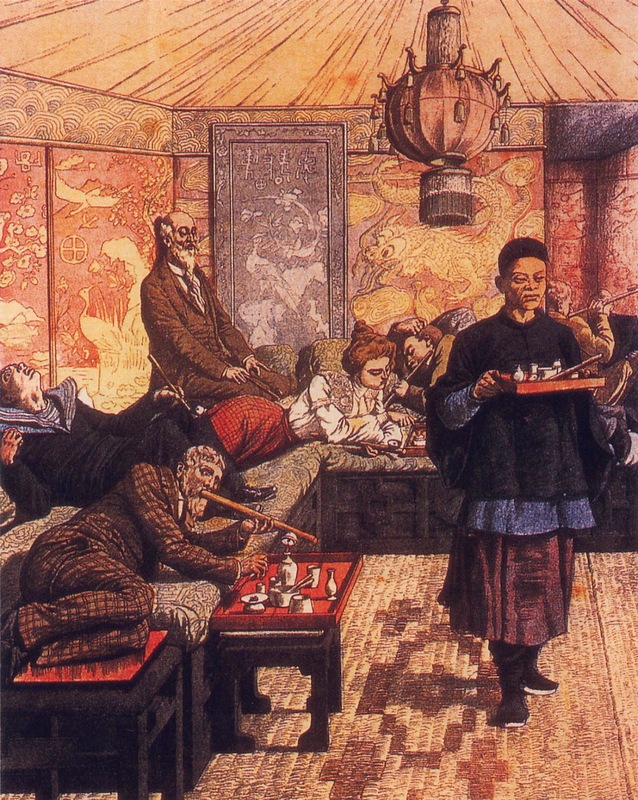 How can you run a Victorian-era game without using an opium den as a set piece, and how can you run a game set in the Old West without a drunken brawl in a saloon? You can't - it's somewhere in the bylaws I think - and so you need some rules to cover intoxicants and their effect on the human body (specifically, the PC's bodies and those NPC bodies they're going to be clashing with). Why I never thought of writing these rules for Blood & Treasure, I don't know, but they would work for that game and most other old school games I should suppose. Obviously, the rules are kept simple and abstract - they're meant to take up a column of the rulebook, not a chapter - but I think they'll do the job. Strong men often crave strong drink to dull the pain of living, or to celebrate a hard-fought victory. Of course, alcohol isn’t the only intoxicant a man or his enemies might use. Intoxicants are treated as poisons, and thus require a Fortitude saving throw to resist. They come in three broad varieties: Depressants, stimulants and hallucinogenics. Intoxicants are also given two levels of efficacy – mild and strong. A strong substance not only has a greater effect than a mild one, and it imposes a -10 penalty to save against it. The dosage of intoxicants varies widely, so use your best judgment. Mild intoxicants have a duration of 1d6 turns, while strong intoxicants have a duration of 1d6 hours. If a character already under the effects of a mild intoxicant takes another dose and fails his saving throw, treat him as though he has taken a strong intoxicant. 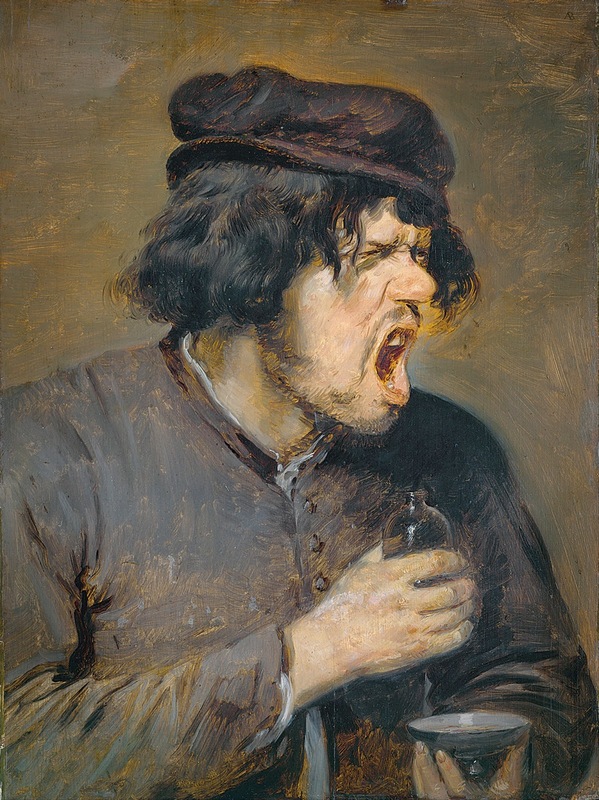 Each time a character falls prey to the effects of a mild intoxicant, there is a 5% chance they will develop an addiction to that intoxicant (rules for that to follow). Strong intoxicants have a 10% chance per use of causing addiction. I don't think it's possible to be a member of my generation without having seen a haunted suit of plate armor at some point in a movie or television show. Even if it was just a cunning ruse by a Scooby Doo villain (who knew so many people tried to use the supernatural to cover up their crimes? 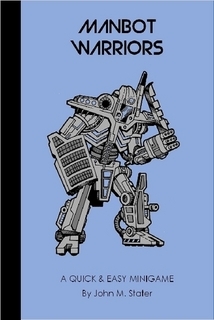 ), the haunted armor was a well worn trope in my day. These days, it shows up as nothing more than lazy comedy ... or, in today's post, as a way to kill those precious little snowflakes better known as Player Characters. When a warrior dies with his armor, fighting to the end, his spirit often hesitates to leave its last post. When this happened, the spirit animates the armor and continues doing what it did in life. Haunted armor is a close kin to poltergeists – undead spirits that have opted out of the afterlife for a career in deviltry. A haunted jazzeraint appears as an empty suit of scale mail, floating about 3 feet above the ground, with a helmet and two burning yellow eyes floating above it. Creatures with one or fewer levels of hit dice and warriors of any level that see a haunted jazzeraint are struck by the plight of the spirit within it, and must pass a Will saving throw or be frightened. A haunted jazzeraint has no hands, and thus cannot wield weapons. Instead, it attacks by either flailing its arms, or slamming with its helmet (per strike above) or by launching a fusillade of razor-sharp scales from its body. These scales seem to regenerate after being thrown, so the haunted armor has no end of them. Just the same, it can only launch a volley once every 1d4 rounds. When a volley of scales is thrown, the jazzeraint makes a separate ranged attack against all creatures within 30 feet and within a 90-degree arc. Haunted mail appears as a suit of chainmail. Creatures with one or fewer levels of hit dice and warriors of any level that see a haunted jazzeraint are struck by the plight of the spirit within it, and must pass a Will saving throw or be frightened. Suits of chainmail attack with 20-ft. long chains that hang from the monster’s arms. Creatures struck by these chains may be constricted; if they are, they suffer one level of energy damage each round they are held. A creature that is completely drained becomes a zombie; the chain remains around its neck and the zombie is under the control of the haunted mail. A haunted o-yoroi looks like a suit of Japanese samurai armor with a grimacing demon mask. Creatures with one or fewer levels of hit dice and warriors of any level that see a haunted jazzeraint are struck by the plight of the spirit within it, and must pass a Will saving throw or be frightened. Haunted o-yoroi enter combat with a blood-curdling scream. All in earshot must pass a Will saving throw or be stunned for one round. In combat, they can strike with their arms, and specialize at sundering items (items suffer a -2 penalty to item saving throws to avoid being broken). Once per combat, a haunted o-yoroi can turn into a veritable whirlwind, striking all foes within 5 feet of it. A separate attack roll must be rolled against each opponent, and each hit suffers normal damage plus one level of energy damage. Any creature reduced to 0 level or hit dice from this attack rise as zombies under the control of the haunted o-yoroi. These zombies have the two attacks of a berserker. Haunted Gothic plate armor looks like the moving armor often seen in movies. It is fully articulated and usually armed with a greatsword, halberd or shield and longsword. If armed with a shield, the haunted armor improves it AC by 2. Creatures with one or fewer levels of hit dice and warriors of any level that see a haunted jazzeraint are struck by the plight of the spirit within it, and must pass a Will saving throw or be frightened. Haunted gothic plate is either freezing cold or burning hot. All creatures within 10 feet of a chilly suit of armor suffer 1 point of cold damage each round, and must pass a Fortitude saving throw or be slowed, per the slow spell. Creatures within 10 feet of a burning suit of armor suffer 1 point of fire damage each round and must pass a Fortitude saving throw or swoon from the hear (i.e. fatigued). Foes hit by the armor’s strikes, but not its weapons, suffer one level of energy damage. Creatures brought down to 0 hit dice or levels by the haunted armor rise as zombies with iron-hard hides, and thus an Armor Class of 18. I've done a similar combat system to this one in the past, so consider this a revision or just forget the last one. Once again, I'm thinking in terms of a deadly combat system, more realistic perhaps than the traditional hit points/armor class system, and potentially over quickly. B3. 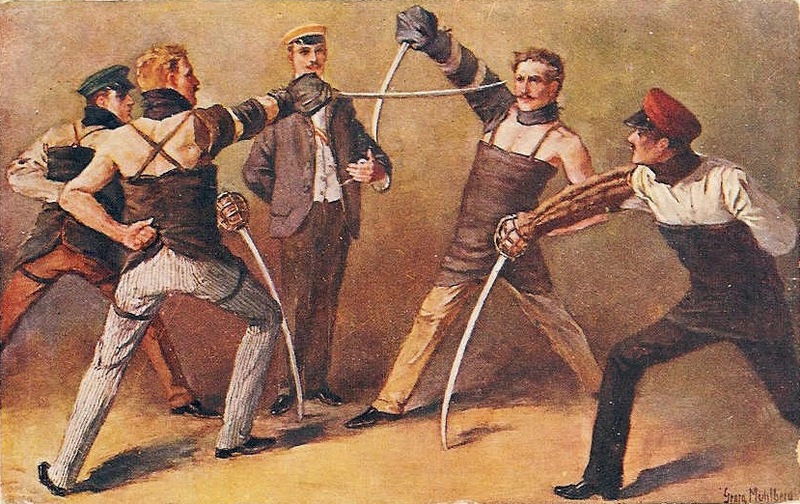 The loser must pass a Fortitude saving throw or is fatigued, suffering the normal penalty to attack rolls, but also extending their fumble range by 1 (i.e. from 1 on 1d20 to 1-2 on 1d20, etc.) A combatant with armor must take a penalty on this save equal to half their armor class bonus. Multiple Opponents - the outnumbered foe has to roll against each attacker, all of whom derive a combat advantage from the situation, and might have to make multiple saves against fatigue. Only the attacker's first attack roll counts against a chosen opponent in terms of causing fatigue or death. Unlike with normal rules, heroes sallying forth against multiple foes are probably doomed unless they well out-level them. Multiple Attacks - Monsters or characters with multiple attacks make those attacks as normal, with each defender making their own attack roll against them, or a defender making multiple rolls against them; as above, only the character's first attack roll counts towards causing fatigue or death. Missile Combat - This system doesn't work for missile weapons, but consider this idea: Make attack rolls against AC as normal. Roll the hit location (you can devise your own table) with that body part being made useless unless the struck character passes a Reflex save. Obviously, hit locations like head, throat or heart would carry with them instant death. Other Sources of Hit Point Damage: To get rid of hit points, you'd need to deal with things like fire breath or falls. If you like things to be super dangerous, you could always go save or die - or perhaps save vs. being crippled, severely burned (you'd have to determine just what that entails), frostbitten, etc. with a roll of "1" indicating that the attack killed you outright. A system like this opens some interesting possibilities. High level characters are still hard to kill, but maybe not as hard as before - even a first level character can get lucky against a high level character with a system like this in a way that is essentially impossible using traditional combat. 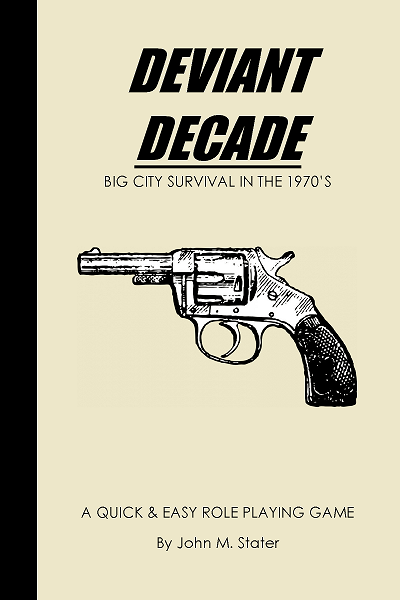 Likewise, first level characters are going to have a tough time surviving, but might actually last many more rounds than they would using the traditional system. If you try this system out, let me know how it worked. Busy scribbling away at my monster book (I think I have the layout figured out) and GRIT & VIGOR, and finishing up NOD 23 (Zombies and Apes! 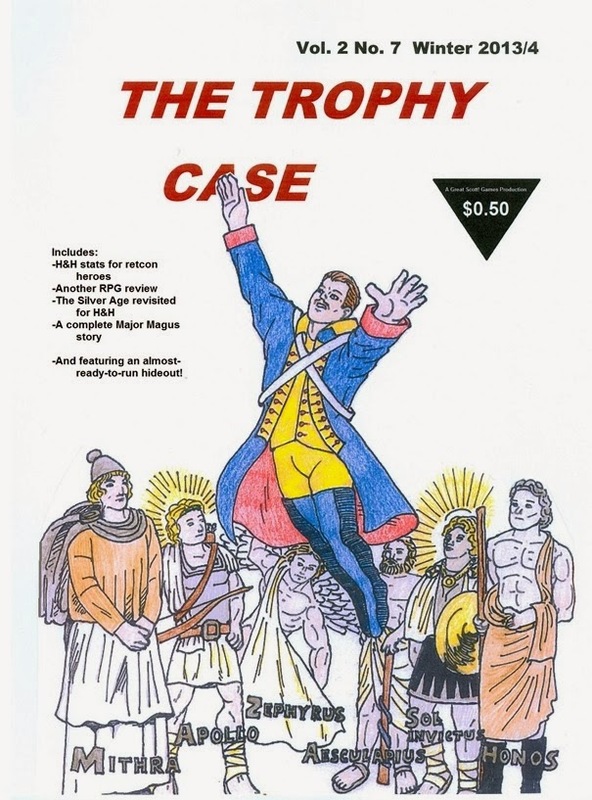 ), but I wanted to take a couple moments and point people to a gaming zine called The Trophy Case. 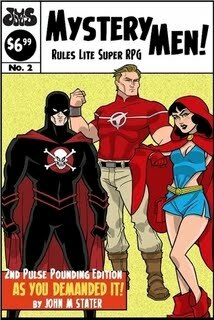 Written by Scott Casper, the writer of Hideouts & Hoodlums, a Swords & Wizardry-inspired superhero game, the zine focuses on golden and silver age heroes, with plenty of stats for H&H, comic book reviews and a nice locale for heroic adventures - the Double L Dude Ranch. Volume 2 - Issue 7 also features a very kind review of Mystery Men! If you have the time and $0.50 (yes folks, just two thin quarters, four bits!) 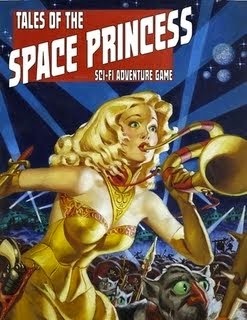 you can visit Scott's page at Drive Thru RPG or RPGNow.com, and pick up The Trophy Case and get your golden age on. Now then - back to work! NOD Companion Update - I MESSED UP! To punish myself, I have a Jerry Lewis movie on right now - but that isn't going to cut muster! So - I'm going to get the file fixed tomorrow. If you have already purchased the hard cover and sent me your receipt, I'm going to be sending you a new hard cover, and I'll shoot you an email confirming that I've done it tomorrow. If you don't get an email from me, let me know that I missed you somehow and I will correct the oversight ASAP! If you've bought the hard cover and haven't sent me an email with your receipt, please do so! For one thing, I'll send you a link to download an electronic copy of the book, and for another, I'll send you a new book that isn't screwed up. I apologize for the inconvenience folks - I hate screwing up, and by the bristling beard of Odin I swear I will fix it! So - book screwed up - I'll send you an un-screwed up copy - sorry for the inconvenience. I think that just about covers it. Not a week goes by that I don't see some new Kickstarter for a gaming product pulling in beaucoup dollars and I think ... why not me? 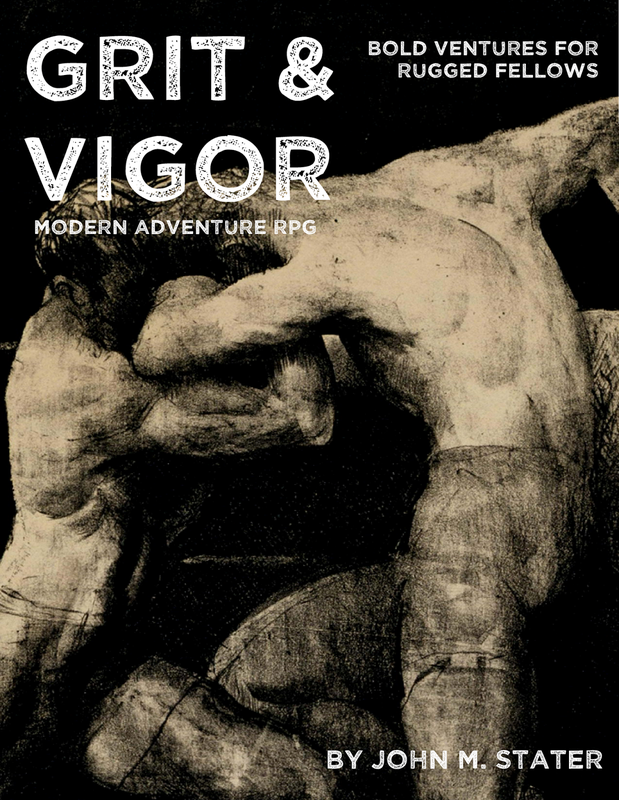 I currently have two projects in the works that could probably work as Kickstarters - the Tome of Monsters (about 90% written, and for which I need art art art - more on that later) and GRIT & VIGOR (about 60% written, and for which I need almost nothing, since it can use great public domain art for the most part). Then I think about the downside of the Kickstarter projects. First and foremost, they don't work well with print-on-demand projects. I did a Kickstarter with Mystery Men! 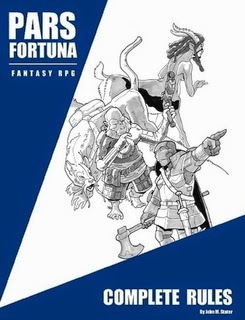 to pay for the art (which may have been one of the earliest RPG projects to do a Kickstarter) and it worked reasonably well. I think I was aiming for a big $210, and I managed to rake in a whopping $290! (Which bought me a couple extra black and white illos!) The trick to be successful on Kickstarter, though, is in the premiums. For MM!, it was a free copy of the e-book and inclusion of the donators name in the product, as well as a thank you letter. I considered sending out hard copies of the book, signed by the author (natch), but when I calculated in the cost of buying the books and shipping them, I realized I'd need to ask for quite a bit more money in the Kickstarter, and given how new the idea of kickstarting a niche RPG project was at the time, I was afraid the project would fail to fund and I'd be out of luck. After MM!, I started making enough money selling NOD and other products, that I felt comfortable just paying for art out of my profits. Since publishing is a hobby for me, I don't have to live off the proceeds of my work - I'm happy just to keep the hobby paying for itself. Blood & Treasure was a big project for me and cost a pretty penny in terms of art (at least for someone as small time as me), but it worked out and I made a profit on it (though just barely). 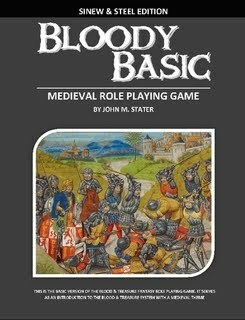 While printing my own books and selling them would probably make me even more money, and make Kickstarters a more realistic proposition, I really prefer print-on-demand; less overhead for me, less fuss, and it keeps publishing a hobby rather than making it a second job I do not have time for. The other drawback, to my mind, is that once you take that money, you're pretty well locked in to making a product and getting people's premiums to them. Oh, I suppose you could find a way to abscond with the filthy lucre, but given that I'm neutral with lawful good tendencies, I'd have a hard time doing that. 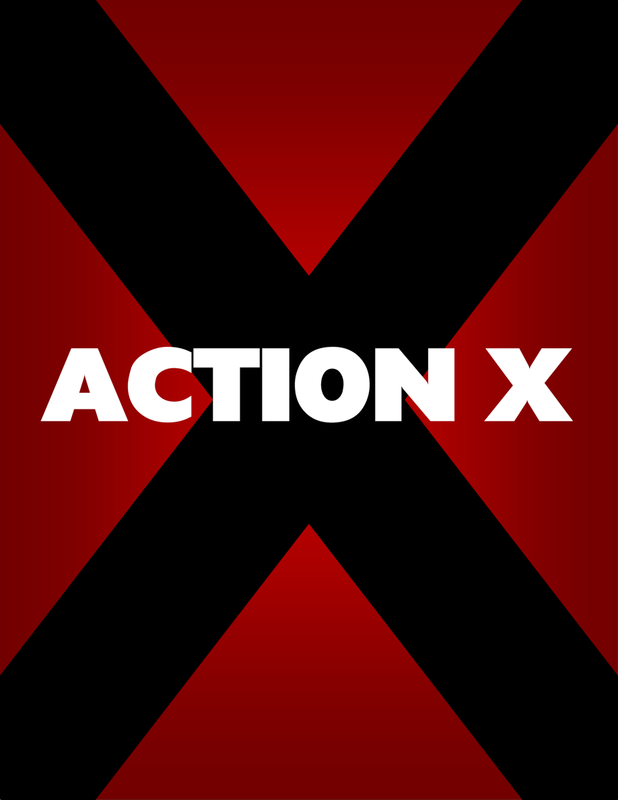 Let's take ACTION X as an example of why this can be a problem. Imagine I ran ACTION X as a Kickstarter. It funded, I started paying for art, and in the middle of the process I started realizing the game just was not working for me. Well, too bad sucker - you made promises and now you need to finish what you started, like it or not. Now, that actually did happen to me in the course of writing ACTION X (though without the binding promises, thank God), and I would have hated to be locked into the project after my passion for it faded away. As it is, I was free to ditch ACTION X and transform it into GRIT & VIGOR, for which the creative juices are flowing quite nicely. For me, avoiding Kickstarters for my products boils down to freedom - freedom from the overhead implied in offering premiums, and freedom to proceed with a project as my passion takes me, without having promises I'm bound to fulfill hanging over my head. So, what do you folks think about it? And on a related note - The Tome of Monsters. This book will be a compilation of monsters that I've published in NOD over the years, including the multi-hued dragons, and the demon and devil lords from the Hellcrawl, with a few unpublished beasts as well, and maybe a few other bright ideas as they come to me. Oh - and each monster will be rounded out with a lair like the one's I've written for the S&W versions of the Tome of Horrors in the past. The book is almost completely written (since it is a compilation, after all), so the trick for me is the art. Some monsters already have art, since they appeared in past magazines. Most do not, and I'd dearly love to illustrate everything. The question, of course, is how? At this point, the book contains approximately 300 monsters. Even if I could secure art for these monsters at $5 a pop (and I can't), we'd be looking at a $1500 investment. More realistically, I'd be looking at $20-50 per monster - so now we're talking about dishing out over $10,000 for art. I figure if I'm lucky I can sell 100 or 200 of these books, making maybe $3-5 per book sold - so investing $1500 to make maybe $300 to $1000 is not tenable. Remember - I'm not looking to get rich, just to break even. I thought one way of making ends meet would be, of course, a Kickstarter campaign, but as you've read above (unless you strangely skipped to the end of the post), I'm leery about Kickstarters. I've also thought about commissioning the art in the form of full page illustrations depicting multiple monsters, maybe locked in combat with some of the characters that first appeared in Blood & Treasure and The NOD Companion - though I'm not sure this would (a) work and (b) actually be any cheaper than lots of small bits of artwork. So - what to do with the art for the Tome of Monsters? At this point, I'm leaning towards commissioning some great art from great artists for as many monsters as I can afford, and just accepting the fact that I ain't Wizards of the Coast. Oh - and if you're an artist who would love to receive a commission for cold hard cash or a trade, let me know in the comments or by emailing me. I'd love to feature as many artists as possible, with as many styles as possible to make this thing more than just a collection of monster stats but also a fun community project. When Superman was first introduced to the world in the late 1930's in comic strips and comic books, he really wasn't so much an adventure character as he was a wish fulfillment character - the ultimate big brother who could beat up anyone the author thought was deserving of it. Superman's earliest battles were against normal folks who really never had a chance at defeating him - think of it something like a group of 20th level characters wandering into the Caves of Chaos. The point wasn't to challenge Superman, but to live vicariously through him. As the character went on, though, things had to change. For one thing, stories like that can become boring. Stories like that are still written, of course, and will be for as long as people daydream about getting everything they have ever dreamed. But there were other forces at work ... competition! Superman was soon joined by many other heroes, and not all published by the same company. National Comics needed to keep things fresh! Yes, I got there before Lex Freaking Luthor! 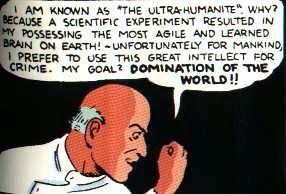 In 1939, the first supervillain appears on the scene - The Ultra-Humanite in Action Comics #13. The Ultra-Humanite represents the "opposite attracts" concept in comic book super-villainy - a physically powerful hero countered by a mentally powerful villain. The point here was simple - Superman can overpower anyone on Earth, but how will he fare against a superior mind? In other words - "how is he going to beat THIS guy?" 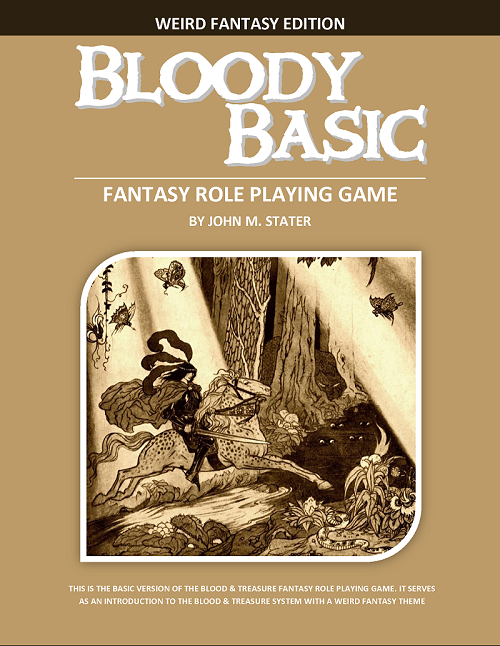 It strikes me that this lies at the heart of much of the monster creation in fantasy role playing games, especially during the old school phase when Arneson and Gygax and many others were building the foundation of what was to come. After the initial phase of dragons and balrogs, we begin getting into the weird Gygaxian ecology that includes rust monsters and lurkers above. The idea was the same as above - the players have discovered tactics that work against bands of orcs and hordes of kobolds and fire-breathing dragons, but how will they defeat a monster against which metal is useless? How will they defeat monsters that drain levels every time they hit, monsters you dare not get close to? How will they defeat monsters who are resistant or even immune to magic spells? The monsters created by this process were weird and goofy and didn't make the least bit of sense, because they weren't monsters in the traditional sense, but rather puzzles disguised as monsters. Okay, smarty pants - now what? When I invent new monsters that are not based on creatures from myth or folklore (and sometimes even when they are), I try to make sure that that concept lies at the heart of what I'm doing - How do I force players to invent new tactics to overcome this new threat? 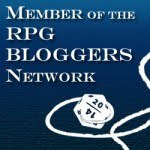 I think that what lies at the heart of what makes role playing games fun is the challenge they represent to the player, rather than the character. By forcing players outside of what is familiar, their interest is sparked and the game is more fun, even if at the same time they're cursing you for your new innovation in killing their character. I think that at the heart of the game lies the basic puzzle of how do I overcome the challenge (monster/trap/riddle) to receive the prize (treasure/kiss/power). When next you're designing a new menace, or even if you're using tried and true monsters, I suggest you put some thought into how this encounter will be different than all the other encounters your players have faced - what is the "gotcha" moment that will force the players to pause, give each other that worried glance, and then get their brains buzzing as they look for a solution. 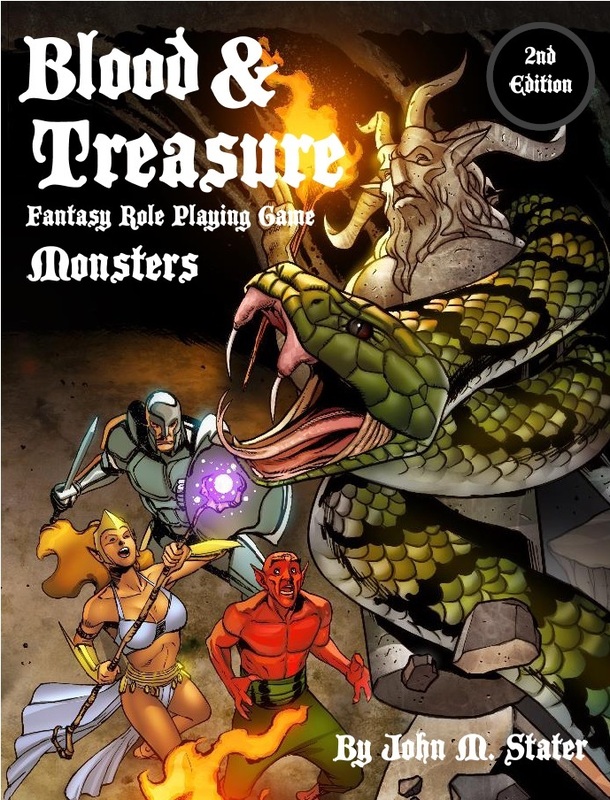 The treasure chest behind the monster is just a token, really - the real prize is the satisfaction of solving the puzzle the monster represents. Sometimes a simple spell just is not enough. 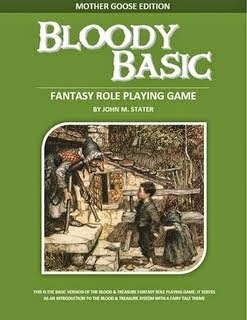 Sometimes, that damn village that ran you out of town because your barbarian is a half-orc needs to learn what for. Sometimes that pompous duchess who stiffed you after you slayed the local dragon needs to find out you’re not to be messed with. Sometimes, a simple spell is not enough – you need a Grand Curse! Grand curses are not unlike normal spells in their overall effect, but they strike many more targets than a normal spell. Grand curses spread like plagues. They are cast on a single person and from that person affect all others with which they have contact. In this way, a grand curse can impact virtually every person in a village, town, castle or even kingdom. Grand curses are no more difficult than the normal spells they mimic, but their cost is much higher for the spellcaster. A spellcaster can turn any spell he or she knows into a grand curse. To do so, they must know the spell the grand curse is to mimic, and they must be willing to sacrifice a pound of their own flesh, metaphorically. Each person affected by a grand curse costs the original spellcaster 10 experience points per level of the mimicked spell. Affected, in this case, means any creature forced to attempt a saving throw versus the spell. If a village of 100 people is affected, for example, by a sleep spell in the form of a grand curse, the spellcaster would lose 4,000 XP. These lost XP can force a spellcaster to lose a level, so when you unleash a grand curse, beware! In addition, the grand curse counts as a spell four levels higher than the spell it mimics. In all cases, the spellcaster casts the grand curse at one initial victim. This person receives a normal saving throw, but at a -4 penalty. If they pass their saving throw, the grand curse fails. Otherwise, they suffer the effects of the spell with a permanent duration until dispelled with dispel magic spell or remove curse. Each person that sees or has some sort of contact with the victim of the grand curse while they are feeling its effects must succeed at a saving throw themselves or become a victim of the grand curse themselves. The effects of the grand curse affect a victim 1d6 turns (i.e. 10-60 minutes) after they fail their saving throw, so it is possible for the victims to move about quite a bit – all the better to spread the curse. 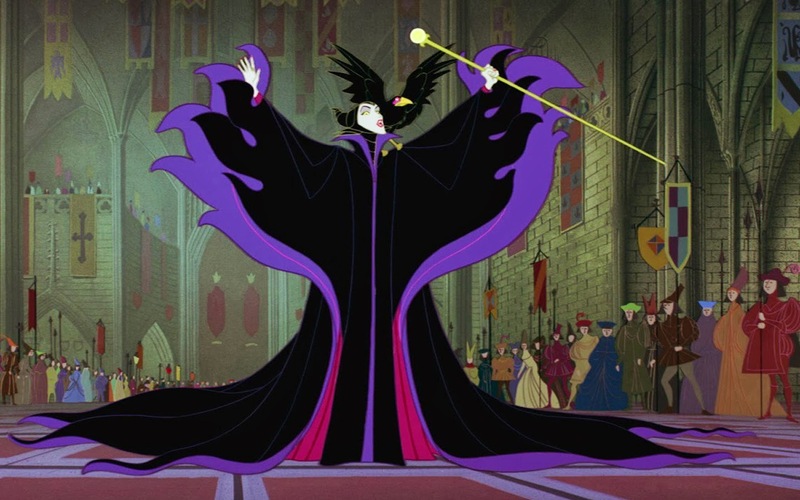 And before you ask – yes, grand curses must have a negative effect on their victims. No cursing people with cure light wounds! The following are examples of grand curses. This grand curse mimics the sleep spell. Each person that sees a sleeping victim of the spell must pass a Will saving throw or fall to sleep themselves. This grand curse mimics the crushing despair spell. Each person that sees a weeping or otherwise saddened victim of the spell must pass a Will saving throw or fall into despair themselves. This grand curse mimics the garble spell. Each person that speaks with an addle-brained victim of the spell must pass a Will saving throw or become addle-brained themselves. The garble spell appears in The NOD Companion. This grand curse mimics the cause disease spell. Each person that comes within 10 feet of a diseased victim of the spell must pass a Will saving throw or fall sick themselves. This grand curse mimics the hideous laughter spell. Each person that hears a laughing victim of the spell must pass a Will saving throw or laugh themselves. This grand curse mimics the confusion spell. 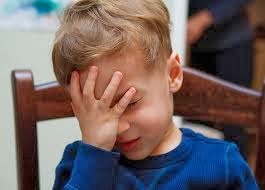 Each person that comes within 10 feet of a confused victim of the spell must pass a Will saving throw or become confused themselves. This grand curse mimics the fumble spell. Each person that sees a person drop something must pass a Will saving throw or become clumsy themselves. 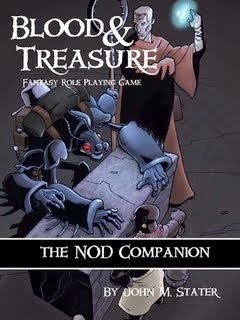 The fumble spell appears in The NOD Companion. This grand curse mimics the irresistible dance spell. Each person that sees a dancing victim of the spell must pass a Will saving throw or dance themselves. Oh, and I know – there are no 12th level spells – but damn this would be cool. Maybe save it for an evil demigod.